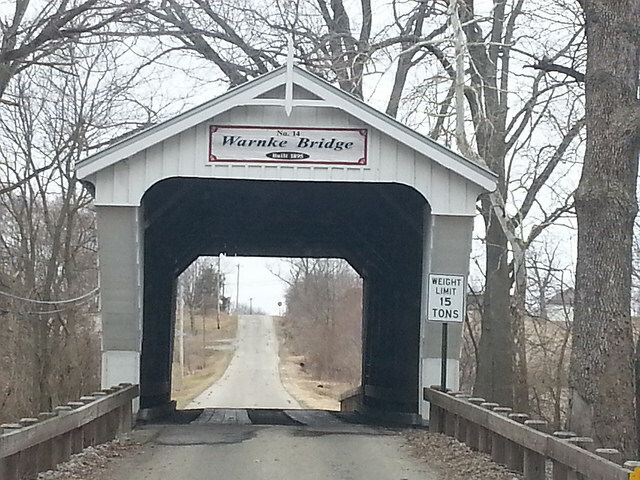 Some say the Brubaker Bridge, located just outside of Gratis, Ohio is haunted. The first time I rode across a covered bridge in Preble County as a kid, I was mesmerized by the idea. Of course, little did I realize then just what a trademark they were for the county. 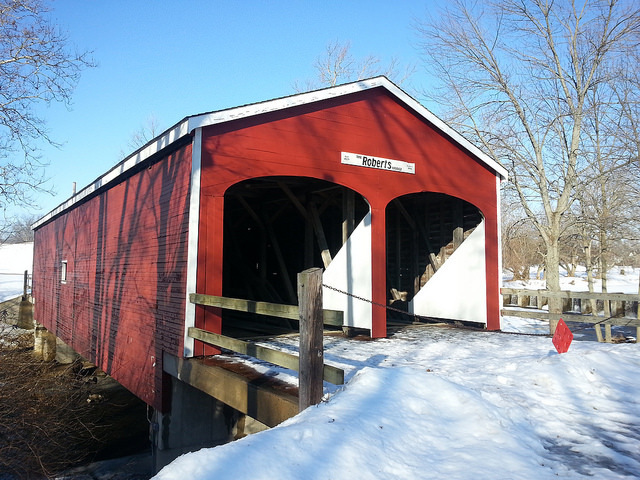 Six of the county’s eight covered bridges still in existence were built by E.S. Sherman in the late 1800s — who used the somewhat antiquated Childs truss patent for the structures. In fact, only one bridge was ever built out of Preble County with a Childs truss — and that one was also built by E.S. Sherman. Of these Sherman-built bridges five are still in operation. The sixth one has been restored and placed inside the community park in Lewisburg. Roberts Bridge was restored after vandals set it on fire in the late 1980s/early 1990s. The incident led to the restoration of all the county’s covered the bridges with efforts to make them flame resistant. 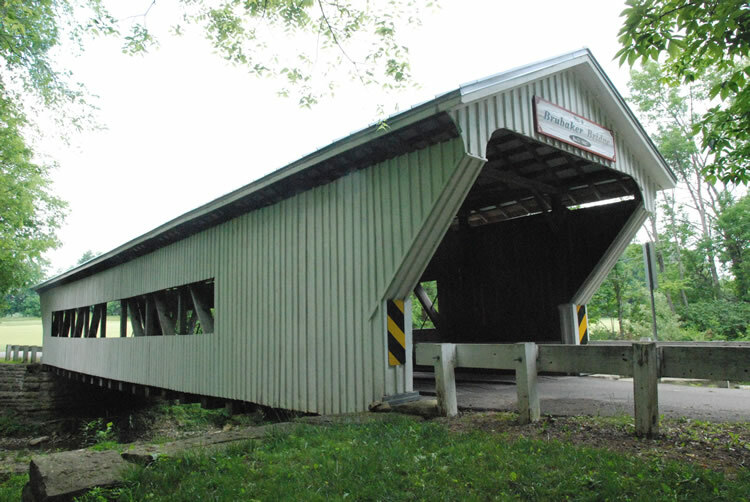 Built in 1829, Roberts Bridge is Ohio’s oldest covered bridge — and the second oldest double-barrel (two lane) covered bridge in the United States. The bridge is no longer in use and spans Seven Mile Creek in Eaton, just a few blocks off of U.S. 127 on the south end of town. One of the bridges, the Brubaker Bridge, lands on various haunted lists. The claim is a group of teens in the 1930s crash their vehicle through the side of the bridge (it is built on a curve) and their bodies were not discovered for several days. Now they haunt the structure. Several events are held throughout the year to celebrate the county’s unique heritage. One of the most popular events is the Bridges, Bikes and Blues event hosted by the Preble County Historical Society. The all-day event attracts bikers from throughout the Tri-State area. The PCHS also published a map brochure of all the county’s bridges which individuals can use for self tours. In 2012, the county unveiled its eighth covered bridge. The Burr Arch design bridge — a truss style patented in 1804 — is located at Hueston Woods state park. It is the first covered bridge to be built in the county for more than 100 years and is designed with walkways so pedestrians can also enjoy the view. 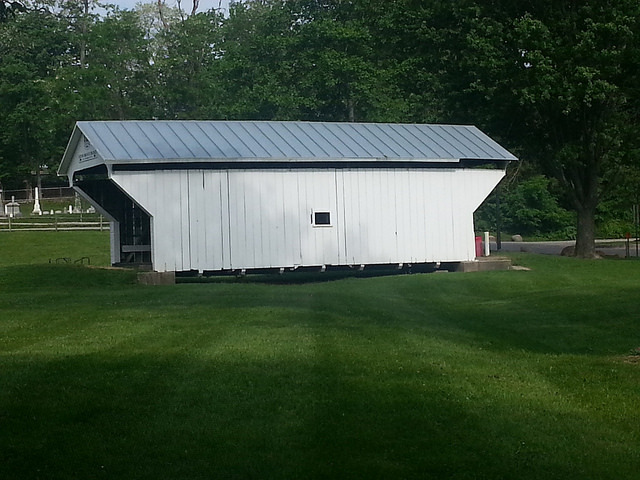 Restored covered bridge located in Lewisburg’s community park.